Google tracks a lot of what you do online. Much of this is to improve your search results or to assist with Google Now. 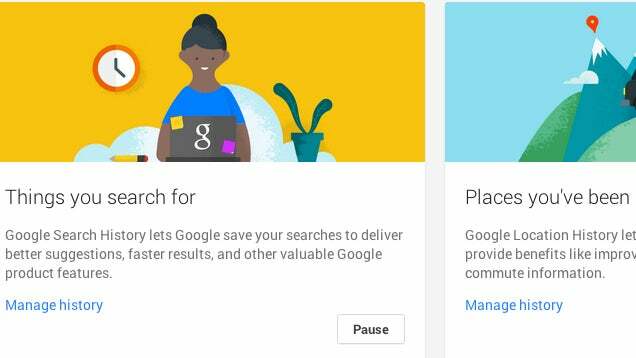 Google's updated Account History page now allows you to "pause" or delete Google's information about you. We've told you how to remove your history for web searches and YouTube. Google's Account History combines search history, location history, YouTube searches, and YouTube watch history all in one place. A new feature on this page is the ability to "pause" your history. Google Now uses your history to come up its suggestions, so be aware that pausing your history will affect how it works. In the Account History page, you can also remove individual items from your history with Google — like a search you'd rather not remember — without clearing the entire history.